For some reason, Flag Day isn’t always a very big deal here. I don’t think it has anything to do with whether or not Canadians are patriotic, or even with our pride in being Canadian. I think it has more to do with the fact that Flag Day has only been recognized since 1995, and it isn’t a stat holiday…yet. As I looked at the calendar yesterday, I noticed that Flag Day is coming up on February 15th!! 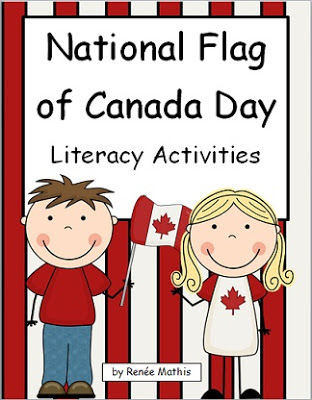 Now, if I’m not really aware of when Flag Day is, I assume that most Canadian students aren’t either. And when I checked on Teachers Pay Teachers, my search only brought up one resource! I had my next project! There they are! 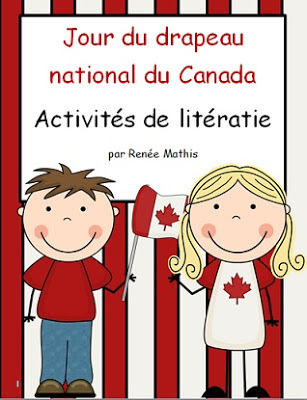 Bilingual resources for a bilingual country! 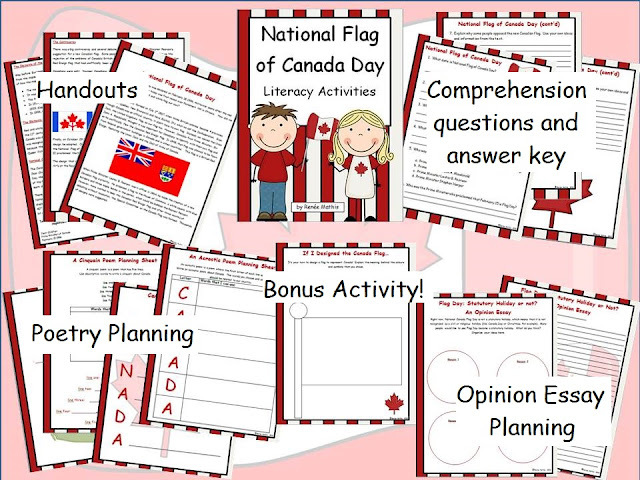 While creating this bundle, I learned quite a bit about our country and our beautiful flag! For instance, when Prime Minister Lester B. Pearson decided that it was time we had our own flag, he was met with a lot of resistance from divided Canadians! Some groups, especially those with British origins, wanted to keep the Union Jack as our country’s symbol, while others, wanted a new, distinct, all-Canadian flag. This was an interesting bundle to put together, that’s for sure! Enjoy teaching your class about the history behind our red and white flag and have them show their learning with activities like an acrostic poem, a cinquain poem and two opinion essays. A short text with comprehension questions can be used as an in-class lesson, or as a reading assessment. I have also included the answer key. As always, if you purchase this unit, please consider leaving me some feedback. You'll earn some TpT credits to use towards other purchases!